Brave and brilliant... this book will change your life. A sincere and delicate inquiry that moves with grace between public and private pain. Intimate, revealing and fascinating, Rossmanith explores one of the most troubling expectations of those caught up in the criminal justice system, the performance of remorse. A moving investigation into the inner-workings of remorse and forgiveness, not just as a legal concept, but a tool to opening up our common humanity. Kate is a brilliant storyteller. Spellbinding... Not often does a book enter a reader's life so completely. Kate is an author, essayist, and academic. 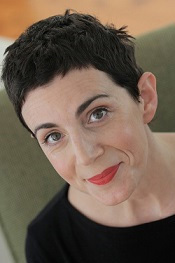 Her book, Small Wrongs, a hybrid memoir about remorse in the justice system and in our everyday personal lives, was published in June 2018 by Hardie Grant Books. Sign up to receive news & updates about the launch of Small Wrongs.